Panasonic Broadcast & ProAV was pleased to host the first ever UK VariCam workshop at Dolby’s prestigious Screening Rooms in London’s Soho Square. We ran the day in co-operation with Codex and the two sessions were well attended by cinematographers, camera operators and members of the broadcast media industry alike. 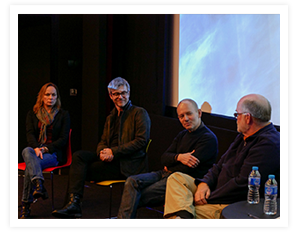 It provided an opportunity for cinematographers who have used the VariCam to describe their experiences from using it on a number of productions and to show the footage that was captured on VariCam. The resoundingly positive feedback we received from the cinematographers in attendance is outlined here. 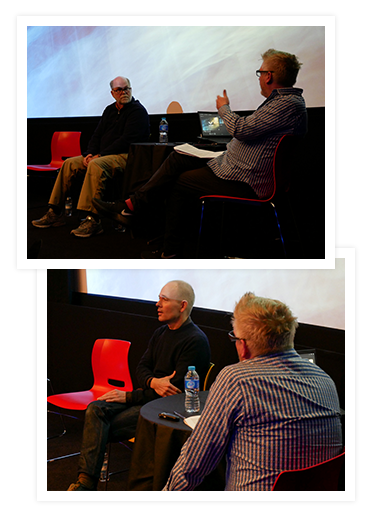 "What you don't see is what you get"
The Workshop began with ASC award winner and Emmy-nominated DOP William Wages. Atlantabased Wages’ latest project, shot exclusively on the VariCam LT, is Sun Records, an eight-episode drama based on the musical Million Dollar Quartet. The story centres around an important moment in rock and roll history, dramatising an impromptu 1956 recording session involving Elvis Presley, Jerry Lee Lewis, Carl Perkins and Johnny Cash. Shot in Memphis, Wages talked of his high regard for the VariCam since first testing it out in a low light shoot for Warner Brothers. “Since the VariCam LT came out that’s all I’ve been using. It’s literally a night vision device. The first shoot I used it on [NBC TV series Revolution] we were working with Warner Brothers, and they didn’t know about the LT and were sceptical, so I had to shoot and prove to them that it was capable. I set up a scene involving four people around a candle, using just that light, and it won them over. “Sun Records was the first shoot to use the LT straight from the factory, so we had four brand new cameras and it was like the paint was still wet on these things. Most of it was shot at 5000 ISO and I almost entirely ran with a Steadicam setup. Because the camera was so much lighter we got a good two hours of extra production time as the operator could wear the thing all day. Wages also talked of the savings the LT’s powerful low light performance enabled, “Production didn’t believe that we could go without a significant amount of the lighting and that the cameras could cope; they had an extra truck full of equipment on hand that we got rid of in the end because it was just redundant. “With this camera the lighting package is a tenth of what we would be using five years ago, and that’s important for the production company because I can go to them and say you can save all this money on air conditioning and power. In years past, we’d also need a pre-rig crew to come on-set beforehand and cable up everything, knocking holes in the walls on set for the lighting. Now I don’t cable up anything and most of the time I’m using very little lighting. Aircon costs in the US are huge,” said William Wages. “So if you can cut it by two-thirds that’s a major selling point for production companies. As a DOP the camera helps to start pushing the business side away from me and allow me to focus on my creative work. Norwegian cinematographer John Christian Rosenlund was up next with his Oscar shortlisted historical drama The Kings Choice, following the Norwegian royal family as they cope with the WW2 German invasion. The audience was treated to a sequence from the film that was shot on the VariCam 35, in which German soldiers advance on a group of outnumbered Norwegian soldiers and open fire. Also invited to speak at the event was Croatian cinematographer Vanja Cernjul, who has used the VariCam 35 to create HBO eight-part series The Deuce. He has also used the VariCam 35 on Netflix original series Orange is the New Black and Marco Polo. “Film sets are often really bad for the environment, so it’s also good to be able to use less fuel and need less air conditioning because we can scale down our lighting package. It’s not always just about cost. 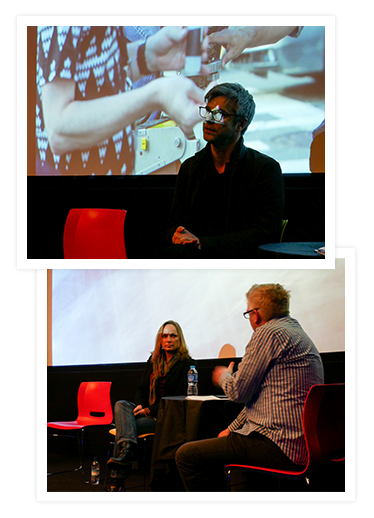 The last speaker on stage was up-and-coming DOP Oona Menges, who used the VariCam Pure in a test shoot around London. She is one of the first DOPs to work with the camera in the UK. Developed in conjunction with Codex, the Pure is capable of capturing 4K RAW at up to 120fps with an industry-standard workflow via Codex’s Production Suite in providing all required deliverables.